Chipped Tooth? See Your Emergency Dentist in Indianapolis! It’s a busy Wednesday morning and you’re getting your kids ready to head to Moorhead Elementary School – while packing lunches, you hear your son and daughter making a racket in the living room. Suddenly your son gasps and your daughter starts crying – something is wrong. You rush to them and see that your daughter chipped her front tooth. She accidentally tripped and banged her mouth on the coffee table. It’s only 7:30 a.m. and you need an emergency dentist in Indianapolis. But, there’s no way a dentist would be open now, right? Thankfully, the team at Indianapolis Family Dentistry offer emergency services and extended hours for a time like this. Plus, since you’ve been seeing Drs. Farthing and Tepner for a few years, you immediately know they’ll take good care of your daughter. Why Should I See An Emergency Dentist When There’s No Emergency? The team at Indianapolis Family Dentistry knows that seeing an emergency dentist as your primary dentist is important because patients never know when an accident or injury might happen. Since dental emergencies can be pretty stressful, being able to see a dentist you already have an established relationship helps set patients at ease in tense times. It’s always better to be in the hands of a dentist you know and trust, rather than seeing someone brand new. Shouldn’t I Just Go To The ER For Dental Emergencies? While many patients think they should head to the ER when a dental emergency occurs, the ER often leaves patients without proper treatment. Even though it would be smart, most ERs don’t have dentists on-call or even on staff with them. And, since only dentists can perform dentistry, the ER may see you, charge you and your insurance, and still not be able to treat the problem you face. Although there are certainly instances when going to the ER immediately is your best bet, talking with your dentist in Indianapolis is a good start to proper attention – Indianapolis Family Dentistry will be able to tell you if the ER is the right place for your emergency care! Why Indianapolis Family Dentistry For Emergency Dental Care? With years of experience, Dr. Farthing and Dr. Tepner have not only the experience and talent you need, they also offer extended regular office hours. On Tuesdays and Wednesday, their offices open early at 7:30 a.m., and on Thursdays, they stay open as late as 7 p.m. In the case of a dental emergency, the dentists will make arrangements to see you as soon as they possibly can. The Team at Indianapolis Family Dentistry also recommends taking good care of your oral health to prevent dental emergencies from happening. Seeing Dr. Farther and Dr. Tepner for regular checkups, cleanings, and the appropriate dental treatment you need on a regular basis can save their patients from major health disasters. To start building the relationship with the Indianapolis Family Dentistry Team today, schedule your appointment now. We’re always here for you and your family in case of emergency, but we would love to see you before problems arise too. Comments Off on Chipped Tooth? 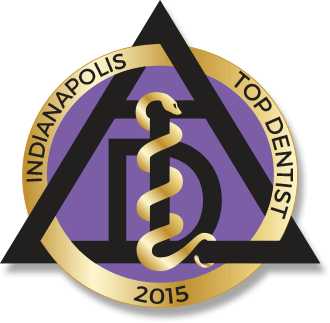 See Your Emergency Dentist in Indianapolis!